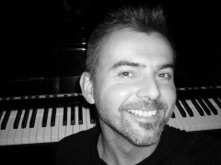 English pianist Andrew Harley enjoys an internationally recognized performing and teaching career. Specializing in instrumental chamber music and song literature, he has been heard in live broadcasts on national radio and television, as well as on numerous recordings. Mr. Harley began his musical studies at the famous Chetham’s School of Music in Manchester, England and continued his education at Oxford University, the Royal Northern College of Music and the University of Southern California. Since immigrating to the United States, he has held positions at the University of California Los Angeles, the University of Southern California, the University of California Santa Barbara. the University of North Carolina, Greensboro, and The Juilliard School. In addition to these positions, he has also held numerous posts at a variety of summer schools. For five years, he was Director of Chamber Music for the International Institute for Young Musicians and was also Associate Faculty at the Music Academy of the West in Santa Barbara. He has been invited to join the faculty at both the American Institute of Musical Studies in Graz as well as the University of Miami Summer Program in Salzburg. In May 2011, he was invited to join the faculty of the Vancouver International Song Institute (VISI) in Vancouver, British Columbia. As a guest artist, he has taught and given master classes at The New England Conservatory, Eastman School of Music, the Royal Northern College of Music in Manchester, England, Indiana University Bloomington, and the Folkwang University of the Arts in Essen, Germany, where he served as Visiting Guest Faculty in Accompanying. As a performing artist, Mr. Harley concertizes across the globe, collaborating with such distinguished recital partners as international opera stars J’Nai Bridges, Denyce Graves, Susanna Phillips, Eric Owens, as well as the legendary American cellist Lynn Harrell, and members of The Cleveland Quartet, The Juilliard Quartet, and the Talich Quartet. Recent recital partners include concertmasters and principal players of Bamberg Symphony, Bavarian State Opera Orchestra, Bergen Philharmonic Orchestra, Berlin Philharmonic Orchestra, Gothenburg Symphony, Leipzig Gewandhaus Orchestra, Los Angeles Philharmonic, Metropolitan Opera Orchestra, Munich Philharmonic, Moscow Virtuosi, National Symphony Orchestra, Norwegian Chamber Orchestra, Norwegian Radio Orchestra, Philadelphia Orchestra, Philharmonia Orchestra, Radio Symphony Orchestra (WDR) Cologne, Radio Symphony Orchestra (NDR) Hamburg, Teatro La Fenice, and Teatro alla Scala. Mr. Harley has appeared on many of the world’s great stages including Carnegie Hall, Kennedy Center, Wigmore Hall, The South Bank Center (London), the Robert-Schumann-Saal (Düsseldorf), and The Library of Congress. He has appeared in recital with Denyce Graves at The Supreme Court of The United States, honoring Justice Ruth Bader Ginsburg. In June 2018, together with J’Nai Bridges and Susanna Phillips, he gave the East Coast premiere of The Long View: A Portrait of Ruth Bader Ginsburg in Nine Songs by Patrice Michaels. Since 2009, Mr. Harley has been a guest faculty in the Collaborative Piano Department at The Juilliard School in New York. In Spring 2015, he served as Visiting Professor of Keyboard Collaborative Arts in the Thornton School of Music at the University of Southern California. In 2015, he joined the full-time faculty in the Collaborative Piano Department at The Juilliard School. Since 2017, Mr. Harley has taught at the Aspen Music Festival and School, where he currently serves as Associate Director of the Collaborative Piano Program. Scheduled for release in 2019 are recordings of the complete Sonatas for Piano and Violin of Johannes Brahms, and works of Schubert and Brahms for four hands.